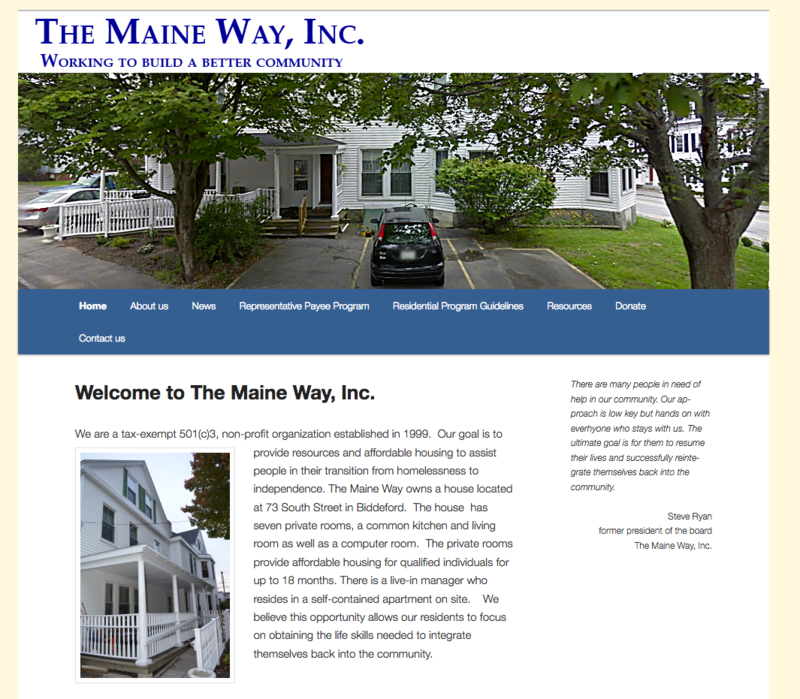 The Maine Way Inc. provides transitional housing and resources for homeless and at risk people. In addition to housing, they provide support services, such as job training and financial counseling. They work with area social service agencies and local health departments. They also provide continuing services for clients including a representative payee program that helps people budget money to ensure their bills are paid.